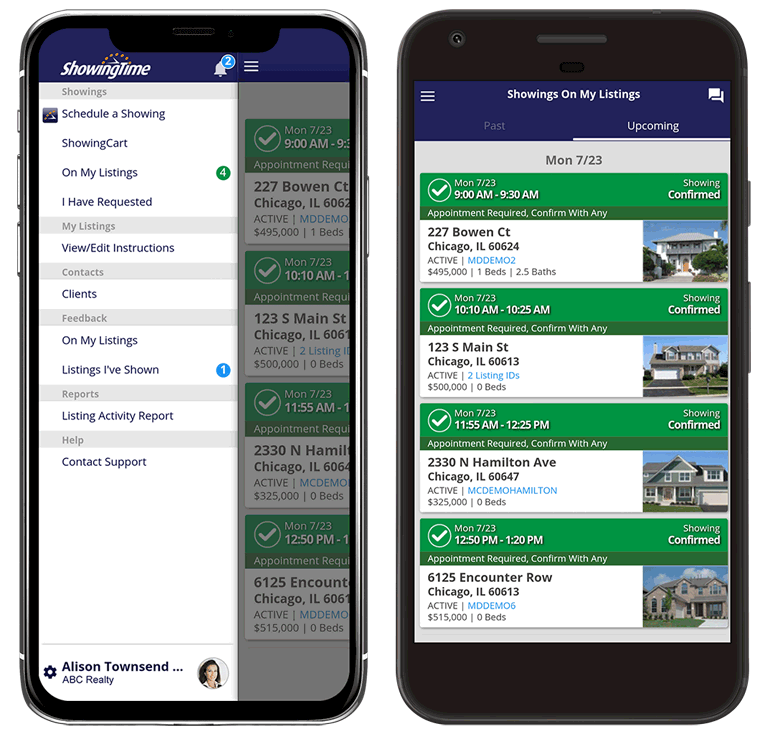 Download the ShowingTime mobile app for your iPhone (iOS versions 8.0 and above) or Android (versions 5.0 and above) device to manage showing and feedback activity anywhere. Whether you’re at the office, at home or on the road, access your listing activity at any time. View and schedule on nearby listings or confirm requests on your listings while you’re on the go. Have your sellers download the app so they can keep track of all their home’s showing activity.